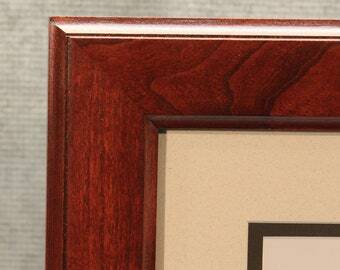 This traditional diploma frame is made of solid cherry, it holds an 8.5 x 11 diploma. 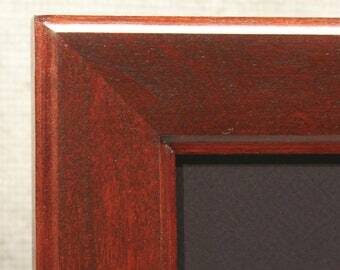 The cherry frame will add a warmth and touch of class to any office setting or home. The wood grain, so beautifully designed by mother nature, cannot be matched by mass produced frames. The natural look and markings of solid cherry stand out and actually improve with age. 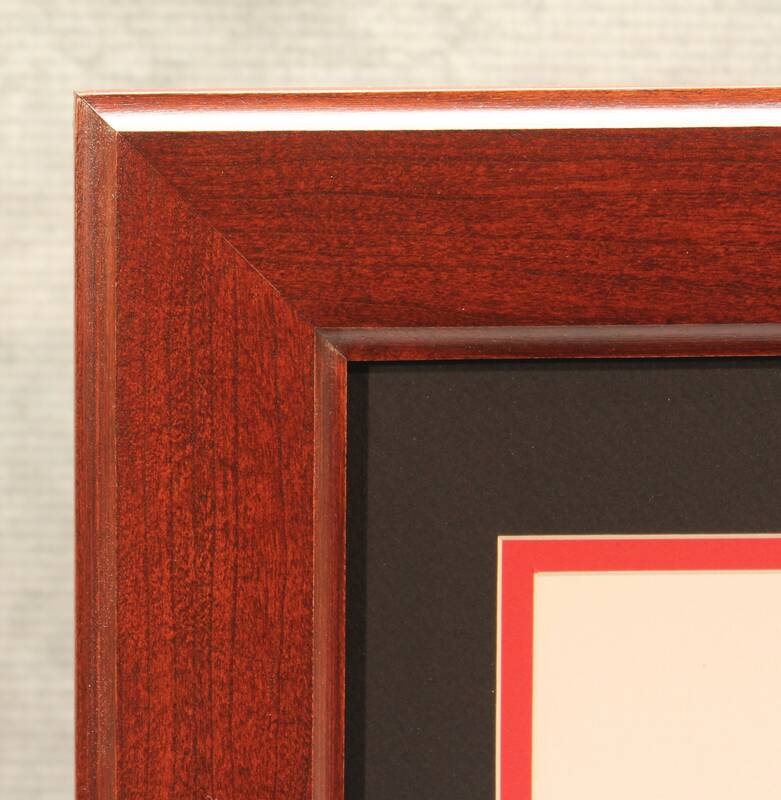 If you are looking for options to the typical, factory made diploma frames that can be found is most offices, this frame is for you. Every frame I make starts as a piece of raw lumber and is milled, by me, and travels through 10 individual steps until it's ready for someone's office. I also glue and v-nail all my frames together, so no one faces split corners a year or two down the road. Fits: documents measuring 8.5" x 11"
Shipping: Included for orders within the United States. Cost: 154.99 (plus tax if purchased in NY) - I also except Bitcoin or Ethereum at a discounted price (5% off with Ethereum and 10% off with Bitcoin). Contact me if you are interested in using either of these cyrpto-currencies. Contact me for details.